Just wanna share my story on how my ccc just stopped working and how I had to replace and code a new one to my vehicle. This is intended for individuals like myself who are currently stumped and overwhelmed by the idea of coding! 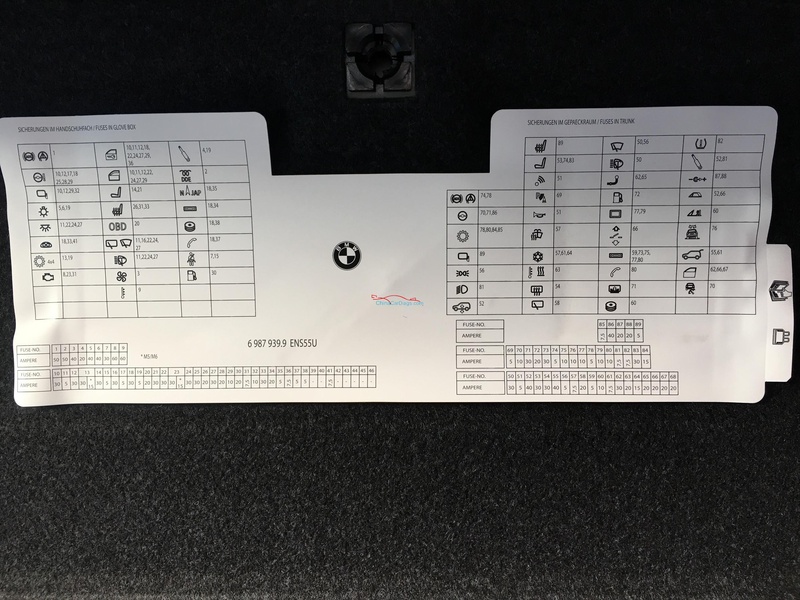 In addition its also intended for people who dont know the lingo when it comes to their BMW, Coding, etc.. I have a 2007 550i six speed e60 equipped with Navi etc. Its dual cd/nav which means it has two slots to insert discs. For the longest my nav screen will go blank from time to time every few months or so. One day it just stopped working completely. I had no chimes whatsoever, I had an SOS error message on the dash, and there was a noise coming from the area behind where the two discs slots are even if the key was out of the ignition. (the fan sound ran overnight and it never turned off). I later found out it was the cooling fan behind the ccc that was stuck on, and The rotary dial on the center console spun freely with no resistance. I searched online and found that this is a common issue so I began troubleshooting. The first procedure I bumped into was the infamous reset method…Which didnt work for me, but others have mentioned if you have a disc in any of the slots then this procedure will help get them out. That wasnt my case because there were no discs in either drive. I also disconnected the battery for a day to see if the system would reset but nothing. You hold down the volume button (not the rotary dial on the center console) and both eject buttons on both drives simultaneously for a few seconds. I mentioned that there was a running fan behind my ccc unit which had me worried because of battery drainage. My battery has drained plenty of times and it has never caused an issue whatsoever..(Didnt even have to code my new one). I decided to start checking fuses hoping for a blown fuse but nada. What I did notice was that when I took out fuse #18 (30amp) from inside of the glovebox the fan noise would stop but I had no dash lights or guages. I removed it at night just to avoid any issues. Here are the fuse locations for the e60. 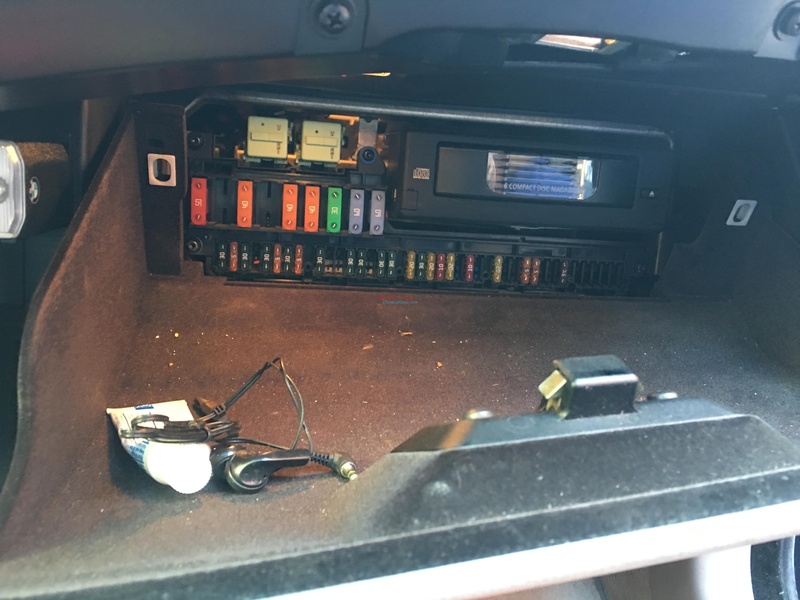 I removed every single fuse and replaced the ones for the radio just in case to no avail…In the glove compartment fuses 18, 34 are for the ccc…In the trunk cargo area on top of your battery by the passenger side of your vehicle are the rest..fuses 59,73,75,77,80 are for the ccc unit. 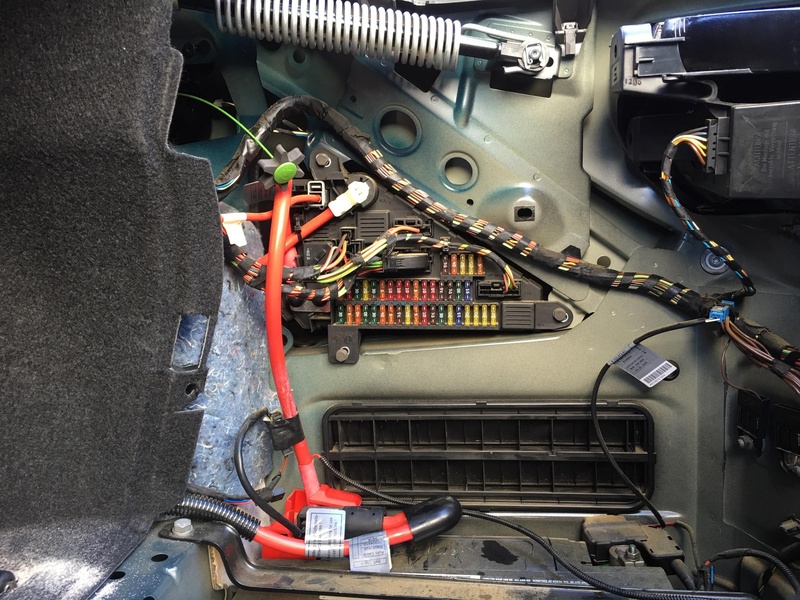 If you need a diagram of the actual fuse specifics, check underneath your first aid kit under your rear trunk lid. Dont be scared if you find a maxi pad (or two). Of course, in my case they looked like a perfect example of what perfect fuses would look like so I kept troubleshooting. As per advice from a fellow member by the name of David MC, who happens to be a coding God, I decided to purchase the Carly app and Gen2 Adapter to run a diagnostic check. Problem was the unit was unresponsive and could not be interrogated with software. I then moved to my next phase of trouble shooting; Water damage. I removed my spare and looked underneath the foam inserts to find a black module (PDC) and a white module (RDC), both were dryer than the sahara desert on a 130 degree day. I unplugged, reseated, cleaned the modules but zilch. I then went to the front of the vehicle on the passenger side by the firewall. I removed the cabin filter and unscrewed the compartment with the electronics using an allen key just to see if there was any water in there. Dry as hell. Except that you dont need the panel tool, you can simply use a thin hard object and use firm/gentle pressure to remove the bezel. What bothers me about this vid is how this dude leaves out info that proves to be useful; the hazard switch and lock button are held in place by a small torx screw which must be removed first. Then you push the switch out away (towards you with the front of the bezel facing you) from the bezel so that you can reach behind it to unplug the electrical connector. Once the bezel is off you can unscrew the two screws on either side of the climate control bezel. This is only hard to do the first time around. It looks more intimidating than what it really is. I promise. Again, this dude in the vid seems to think everyone should know how BMW connectors work; the connector closest to the steering wheel comes out by squeezing and pulling, but the other two are tricky if youve never dealt with them. Behind the connector there is a soft, elevated tab which has to be pressed inward while at the same time you have to flick the locking tab (mine was gray) towards your steering wheel for the middle connector. That flicking motion helps guide the connector loose from the bezel. The connector closest to the passenger side (mine was big and blue) has to be flicked towards the passenger side using the same method. You can follow the rest of the vid for the last of the removal process.. When I pulled my ccc unit out It was still plugged and the fan was at full speed even though my keys were in my pocket. I decided to bite the bullet and purchase a ccc from the stealership. (PM me for a good deal on ccc units in the tri state area). Of course when I plugged the unit at the dealer it blacked out a few times and i figured it just had to be coded. Boy was I wrong. It turns out the unit was faulty ( I hate refurbished products) but I was able to get an exchange after pleading with the manager. I told him I would be back to code the unit later on (lol). I realized if youre like me youre pretty intimidated when trying to code your car. People like us dont really like messing with something unless we are 100 percent sure we know what we are doing. Here are the steps that were provided to me by that God named David Mc..
You can pretty much code your replacement unit back to your units original state in less than 5 minutes (cinco minutos) using NCSExpert Tool. Load profile (here you should see default, but the profile that worked for me was Expertenmodus (OFFEN). 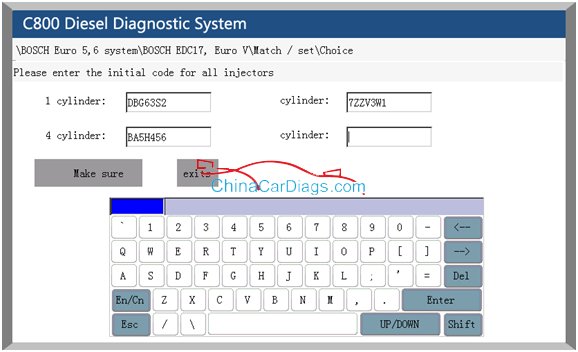 click on F4 tab (process ecu)…here youll see all the codeable modules in your vehicle. I coded each module separately because I didnt know how to go back to toggle between modules. Once you click on a module you will need to confirm the module for coding (just click ok). The way I did it was by closing NCS Expert and restarting/repeating the process all over again until I coded all five modules. By the third module you should be butterfly-free. Thanks again to David Mc, Randomy, Revtor, your work is invaluable to the community.